LIGHT-UP DOG LEASH home decor, jewelry, decor, decorations, electronics, fountains, floor mats, art glass, vases, garden essentials, fireplace screens. 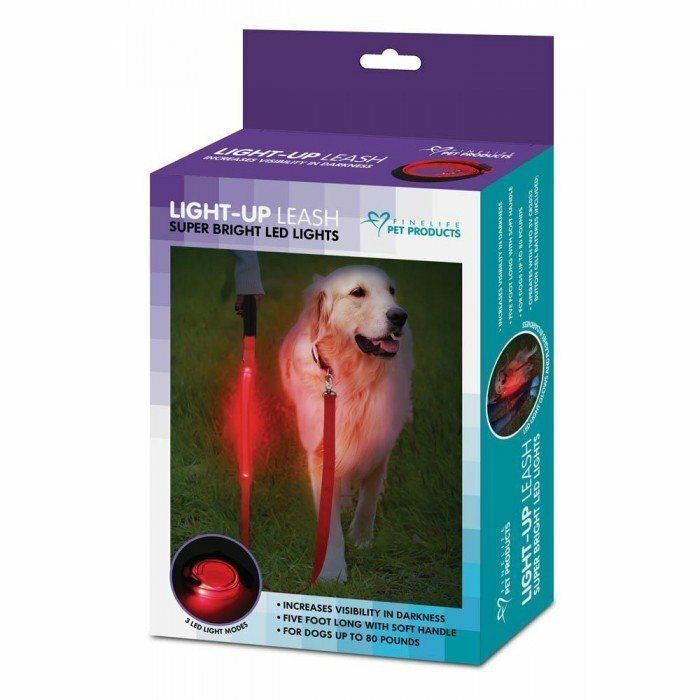 LED lights make this five-foot long red leash light up so you and your pet can be more visible while enjoying the great outdoors. It has a soft handle, 3 LED light modes and is best for dogs up to 80 pounds. Operates with two 3V CR2032 button cell batteries (included). Material(s): METAL POLYESTER PLASTIC. Weight 0.5 pounds. Dimensions 60" x 0" x 0".